To be or not to be a capitalist? Another day of travelling and discoverig the world has just finished. What I see and what I experience is just incredible. But I need to start from the very end. The highlight of today was the sunset and the evening. The sunset for myself only. 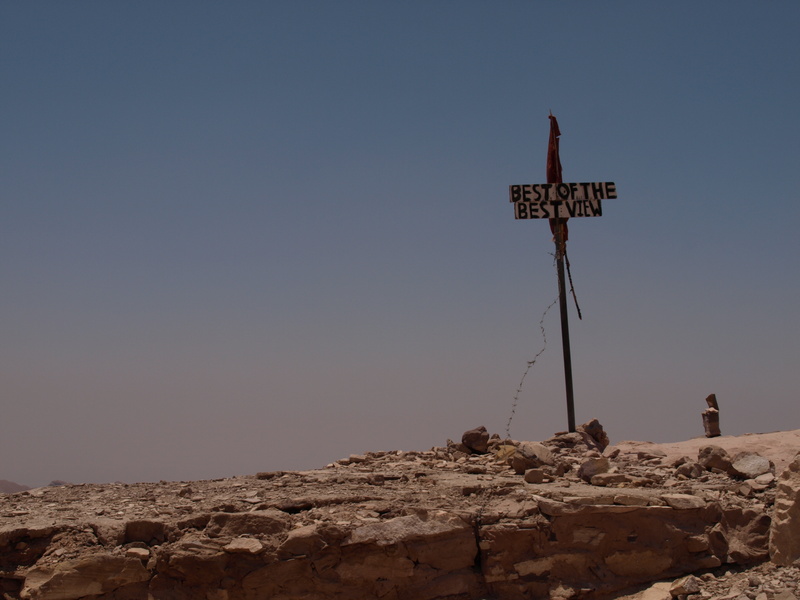 Rami, the Bedouin, took me to this place – I was lying down on one of Petra’s highest places and there was literally NO-ONE around. It was amazing to be in such a beautiful place and not to be surrounded by a wild group of tourists. Wow! All the tourists have dissapeared before the sunset becasue the ticket office closes at 5pm. 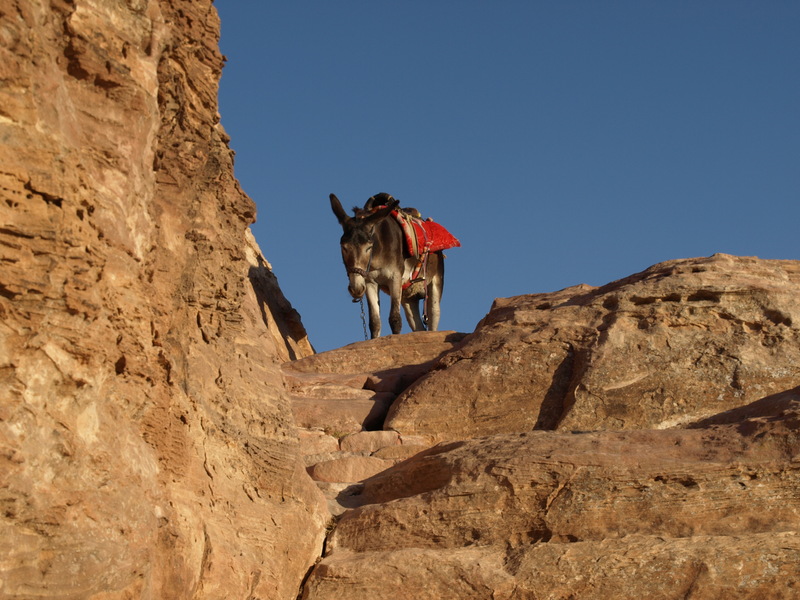 After the sunset we walked down the hill with Mr William the Donkey. And there were no tourists there again. Some Bedouins appeared from nowhere, somebody made a pot of tea. And we kept sitting down there until late in the night, drinking tea, one of them brought a radio and a flute and started to play. It was getting darker and darker until the stars appeared on a sky. It was really incredible – to be there in the middle of all those ancient surroundings. The time seemed to stop flying. 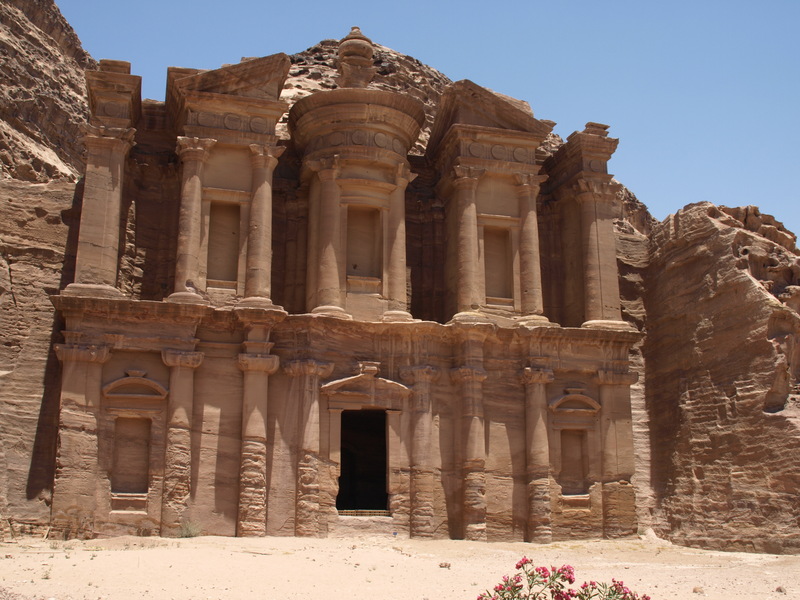 And the whole day I kept thinking about Petra and that I actually don’t know what is good / better (is it actually a proper category?). 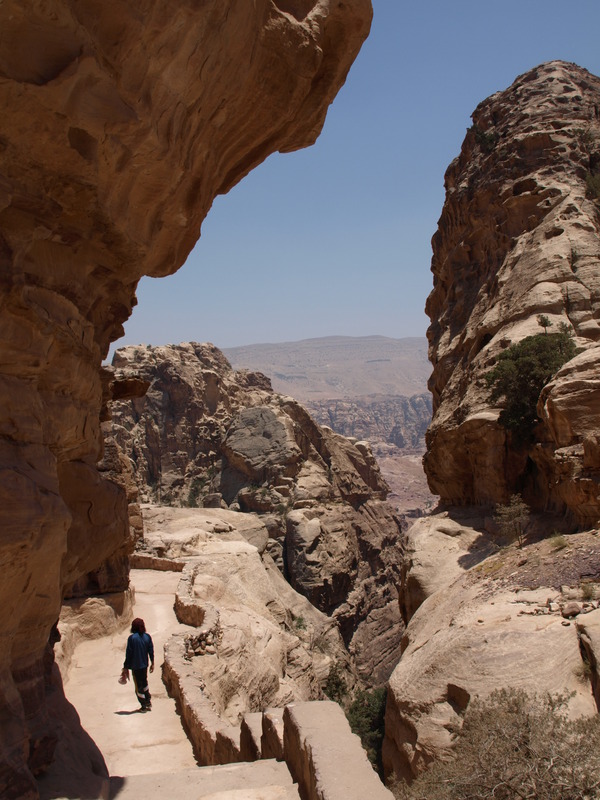 Because so much more could be shown there in Petra. And you can see that actually nobody really cares, nobody protects it and not really promotes it. So it is there and it will remain there for some more time – as it’s been there already for those thousands of years. And I was thinking – so much more could be done! More information, more promotion, more investments .. And then I thought that maybe it is good the way it is there. That maybe another place like Machu Picchu is not needed. That maybe it should be the way it is. That this story that has happened to me today would have not happened in any other conditions. That this ticket I bought is actually not really necessary becasue nobody is checking it once you are in and it’s so easy to enter this place from any other side than this main entrance. And I keep thinking (so idealistically!) that maybe people just want and try to live in peace and happiness. So do we need to think in a capitalist categories of having and possesing more and more?